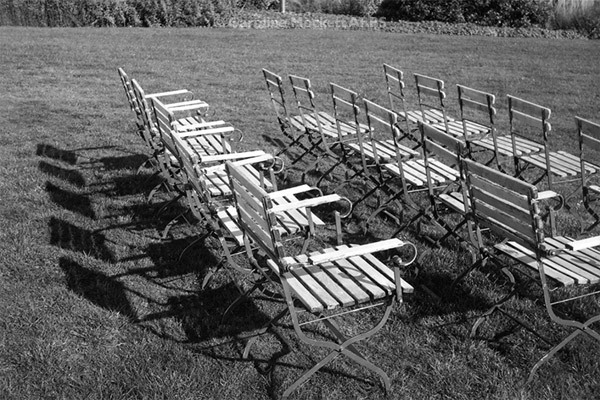 Notes: When I visited Hyde Hall today, they were setting up for an event later in the week and had lined up lots of deck chairs on the lawn outside a marquee. 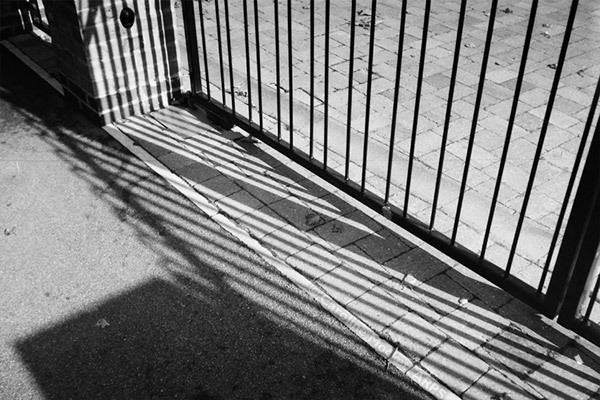 The sun was shining and rather obligingly made some interesting shadows. 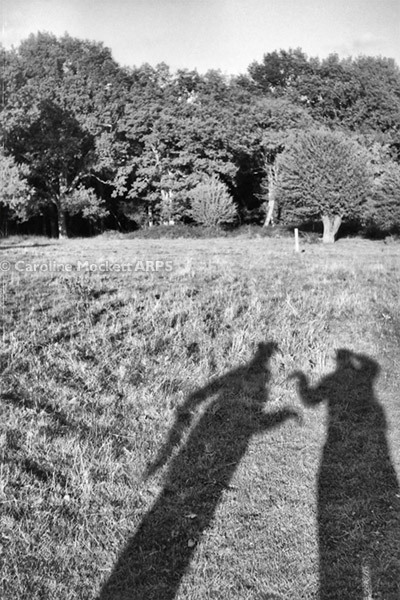 Notes: Some fooling around with shadow play today, while Alistair and I were having a great geocaching outing around Hatfield Forest. 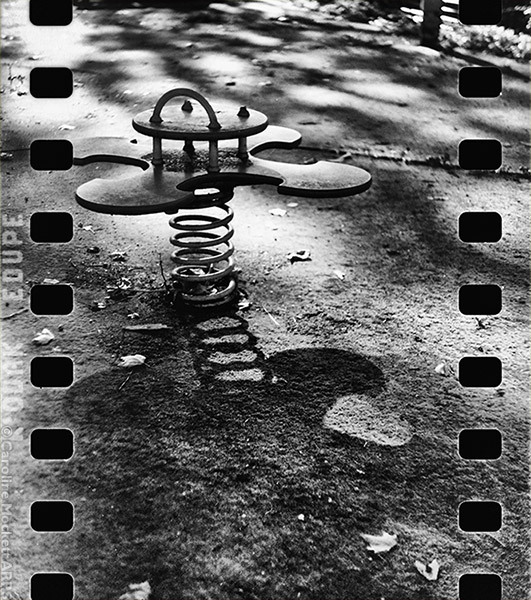 Notes: Another image from the Kodak Edupe (slide stock) roll, cross-processed in C41 chemistry (usually for prints) and made mono in post production. 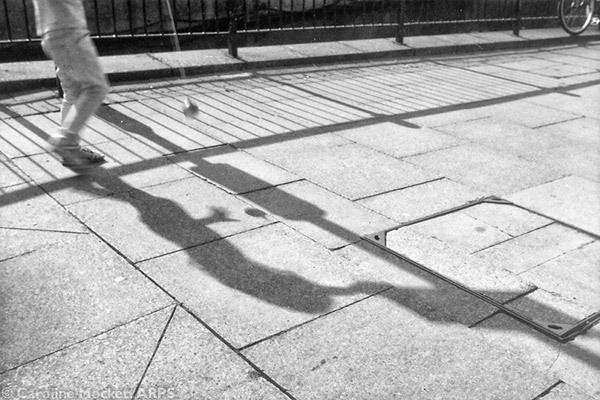 The shadows in the little playground at St. John’s Church made my picture of the day. 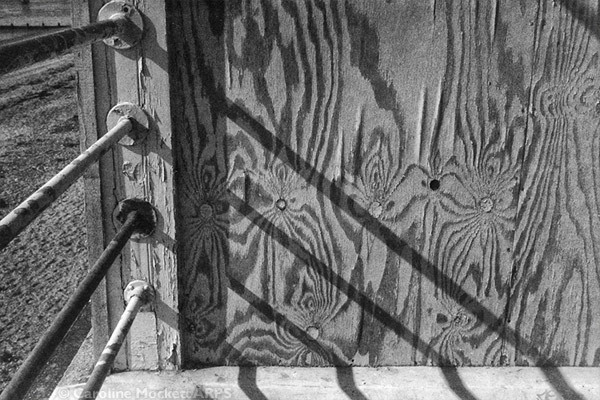 Notes: I spotted these fantastic shadows at Thorpe Bay where I was having a wander making some medium format colour slides. This is the side of the old tramshed along the prom. It makes a perfect shot for Treasure Hunt Theme #09 – Monthly Project – September. Notes: I decided to take the Bantam Special out for a spin today. I framed up this scene just as someone walked in from the left, playing with a yo-yo.